When refurbishing or fitting a new property, flooring is literally a make or break element that can impact on the look, feel and ultimately the value of a property. Whether you need a laminate floor or wooden floor installing, we combine years of experience in the trade with an unwavering dedication to customer care to ensure all our projects are finished to a highly satisfactory standard. 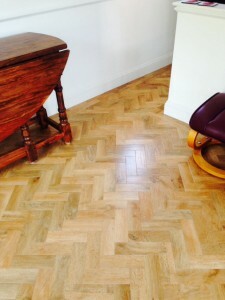 We realise choice is a fantastic thing, and see our customers as partners in our flooring projects. We come to your home or office and present you with samples of the latest designs, allowing you to see all the options before coming to a decision on the type of flooring you would like installed. Our free measuring service takes another job off your hands, meaning you are aware of the scale of the project before you commission it. We have built our business on customer relationships, and are happy to provide no obligation advice for any homeowner, giving them the information with which to decide the specifications of their flooring project. Amwick Floors are up to speed on all the latest wood flooring engineering techniques, meaning if you have a design in mind, the chances are that we are able to produce it for you. We offering all manner of comfortable, elegant and durable designs to suit your requirements. Our carpet fitters are also happy to recommend particular styles which they believe complement a particular property. We understand cost is a big consideration for the majority of homeowners, and for this reason we always deliver a super competitive quote when compared to other floor fitting providers. You can trust us to manage your flooring project efficiently and with as little disruption as is possible. If you are looking for carpet fitters Haywards Heath, and would like to get in touch please fill in the form and we’ll get in contact with you just as soon as we can.